Some people have additional rituals and connections today. Click the link above for these rituals and Connections. The Hebrew day starts the evening before. 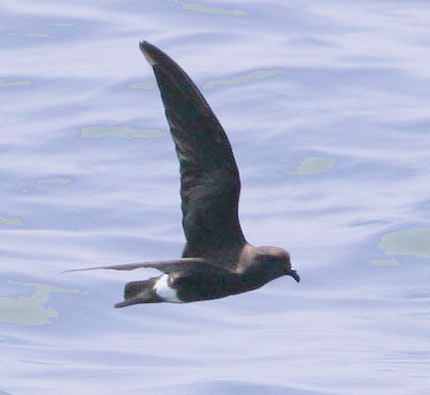 An example is the 29th day of Tishrai started the evening of October 22 2014 at sundown. Today is 31 days until Zot Chanukah - This is the Sefirah of Tiferet Shebe Tiferet in this frame of the calendar. On this page there is more information than most people can absorb and utilize each day. Take your time in absorbing the information and bring it into your life to utilize slowly going a little bit at a time. The general teaching is "step by step." You will see the validity of this teaching over the course of the year. There is a general summary for each day at the end of the page. You can skip to it by clicking on the link below and then returning to the top of the page for additional information to use in your life. Depending on the root of your soul (which Biblical Nation) the daily energy or daily essence that impacts You will be determined by the Hebrew Calendar - Western Calendar - or the Moslem Calendar, or a combination of the calendars. Most people will be impacted by the Hebrew Calendar since today the majority of souls in the world are either Children of Israel or Erev Rav as discussed by the Zohar. There are also a number of uncorrected souls from the Benai Noach as well. For further discussion about soul roots please see the Advanced Reincarnation Classes on the Yeshshem website. Parasha Vayetze - Translation: "going out" or past tense "went out from"
The energy of the Alef Kislev 5775 - Alef Kislev. 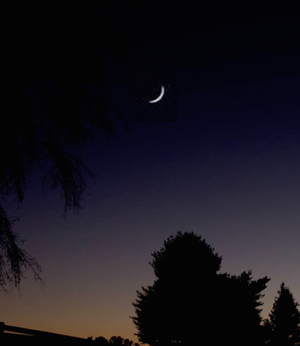 This is known as Rosh Chodesh Kislev which starts at sundown Saturday Night. This will be a link to the three Verses that connect to the energy of the year. The weekly energy is composed of the Biblical Parasha energy and the number of the week of the year and some other sections and components as well. This will be explained below. This week is the 9th week of the year. "Behave Properly, Fight Darkness with Light." How does the week start on Wednesday night and not Saturday Night? This is a bit confusing for some people since in the year 5775 the weeks start Wednesday night. Rabbi Yossi teaches, "The property of your fellow should be as precious to you as your own. Perfect Yourself for the Study of Torah for Torah Study is not an inheritance for you. Do all your deeds for the sake of Heaven. " Transliteration: Ohr Tzaruah LaTzadik Weleyasharai Lev Simcha. The Hebrew can be translated in different ways. Tzaruah is a seed not necessarily sown. Yasharai also has the meaning of direct as well as straight. The meaning of Rabbi Yossi's teaching is also quite meaningful. "Love your neighbor as yourself" includes their property as well since Kabbalah teaches that our souls enter into the property of each human being animals, plants, and inanimate objects. Also, realize that the consciousness one has when one does an action is what defines if the action is selfish or positive. The Name of this Parasha is Vayetze and its usual translation is “went out.” The immediate question is who went out from where to where? All 3 questions are answered in the first verse. Yaakov went out from Beer Sheva towards Haran. The word / Name Beer Sheva is a code word for the physical world according to the Zohar. The word Charan has an additional Hey as the last letter of this world. This Hey is considered in the Hebrew grammar rules to be an indication of direction. It also changes the gematria of the word. Without the Hey the gematria is 258; with the Hey the gematria is 263. The number 258 is the same gematria as the Hebrew word that translates as “utterly destroyed.” With the change to 263 the word becomes Geresh - which translates as “to study” or “to learn.” This is a significant change for us to realize the meaning of the code word Haran. The Parasha on its simple story level teaches us about the 11 sons of Jacob and the birth of his daughter Dinah. 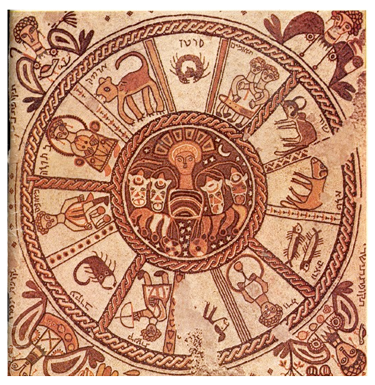 In Kabbalah we learn that the 11 sons are almost all of Jacob's sons and almost all of the control of the Zodiac signs are given in this one Parasha. This is a significant teaching in our lives and the lives of humankind. To be able to control the Astrological Influences is quite meaningful. How is this done? How does one control the Astrological Influences? The Kabbalah teaches that the control of the Astrological Influences is actually accomplished through the manipulation of the genetic laws and the ultimate teaching of controlling the physical DNA through the manipulation of the three worlds of Nekudim – spots or dots; Akudim – Speckles; and Berudim – flecks. Please note that the world of dots Nekudim is similar to the word for the vowels of the Hebrew Letters. I have never seen this described by the Kabbalists as being the same level of consciousness so I hesitate to say so. It is for each of you to contemplate and determine for yourselves. These three code words relate to the three higher worlds of the 4 worlds. In my opinion there is a relationship between these 3 code words and the 4 chemicals that science has determined to be the base of DNA. 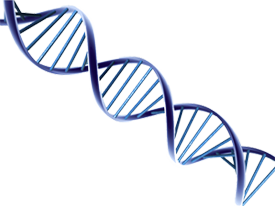 In the words of science DNA is composed of 4 chemicals referred to as ATCG. In my opinion these Kabbalistic code words relate to the first three proteins that science codes as ATC, while the fourth chemical is called G. G represents the physical world and is called Guanine. The A stands for Adenine; the T stands for Thymine; the C stands for Cytosine. Eventually science vocabulary will catch up to the teachings of the Kabbalah and science will understand why these levels of chemicals relate to the spiritual worlds. This is not yet understood by the scientists to my knowledge. Learning how to change DNA of physical animals is a useful tool for mankind to learn. This has always been known by the Kabbalists yet it took Rabbi Ashlag in the 20th Century to be given permission to reveal this significant technology. The Kabbalists have taught us how to utilize the DNA of the Hebrew Letters to overcome the astrological influences, while the teachings of the Kabbalah has taught the people of the 20th Century to utilize the chemistry of DNA to make the animals become whatever the human beings desire the animal to become. Why is this possible? Why is this technology being revealed in the 20th and 21st Centuries? In my opinion it is being taught and revealed today to show us the fallacy of our perceptions. We can change whatever we want including death. We just have to decide that we want it changed. To remove death from the world we need to decide that we no longer want death to remain in the world. It is all about consciousness. That is the lesson being taught by science as it realizes that we can change all aspects of DNA. In my opinion, The Zohar is explaining to us that by laughing in the face of death and hardship is the method we need to utilize to transform the world to no longer accept the illusion that death occurs in our physical world. It does not. We need to realize it – laugh at death and thereby remove death from the world! Actually this is an extension of the Kabbalistic teaching to remain “happy” during the month of Tammuz to prevent the disease Cancer. Remember it is not Cancer that causes death; it is the judgments of the upper academy that pronounces the judgment that it is time for someone to leave the world. We call that death. Keep doing good deeds and Mitzvot and watch the diseases of the world like Cancer be concealed and cured. Of course, most of the world will perceive this as the benefits of man's medical technology. These people do not yet recognize the concealed hand of the Creator behind the technology developed by Mankind. When man realizes that the Creator is the cause and not Mankind death will become removed from the World! All it takes is TRUE APPRECIATION. Do you truly appreciate the Creator yet? These are links to the previous weekly emails for the Parasha of Vayetzei as well as links to our Zohar pages for this Parasha. This section will add some Hebrew astrological information about the day when appropriate. 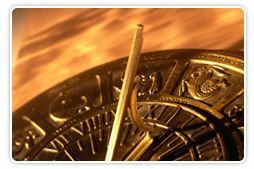 Western astrology looks at the heavens and "reads" the effect of the physical movements of the stars, planets, and other items in the sky. 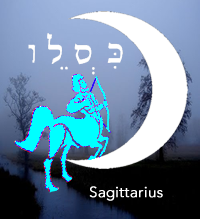 Hebrew Astrology goes to the essence and asks why do these items move the way they do. When one asks this question of "Why" one is able to go to the inner essence of a thing and make changes at the spiritual DNA of an item. This is how the phrase "The stars impel but do not compel" can be achieved. Today is the Rosh Chodesh Kislev - This is the opportunity to take control of the astrological influences of the month of Kislev. Please listen to the recording of our connection in order to learn what is the technique to enhance the positive aspects of Kislev in your life and minimize the negative aspects of Kislev in your life. If you want to receive copies of the recordings of this event and other classes - some of which you will listen and others you will just delete from your email send a request to be added to our email list at yeshshem@hotmail.com with a statement in the subject line - add me to your class recording email list. This is the link to the Kabbalistic Information about the Statistics and Gematria of Parasha Vayeitzei - Link is active yet not complete. This section is composed of the number of the day of the year, the number of the day of the month, and the number of the day of the week, as well as a relationship to certain animals and other information that will be helpful for that day's energy. Day Number of Year: 60 = ס: The number 60 is the gematria of the letter Sameck. This letter means support. This day of Rosh Chodesh Kislev is that kind of support energy. Use the energy of Rosh Chodesh of the month of miracles to control all of the miracles that potentially happen during the next 10 months. Day Number of month: 30 is the gematria of the letter Lamed which relates to teaching. See the energy of the 60th day of the year. It is similar energy and reinforces this same energy. The outer level is clothing. Followed by hair which aspects of both the body, the net inner level, and the clothing fibers. Inside the body we have three levels of components: skin followed by ligaments and muscles followed by organs, followed by the skeleton or bones. In the frame of the Sefirot and Worlds the outer most world is the physical. This is followed more internally by the Klipot which are not visible to us. This is followed more internally by the world of our bodies or the Malchut. Next moving internally- the level / world is the world of Yetzirah which the world of emotions. Next comes the world of Mind or Intellect. Then the world of spirituality, until we reach the most internal aspect of the Keter which is called Essence. Today is Rosh Chodesh Kislev. This makes it a positive day in addition to the positive day of Yom Echad. Do some extra study today to connect to this additional positive energy, as you prepare for utilize the tool of Rosh Chodesh during the day. The strongest Connection Sounds are to speak / sing the words of the Ana Bekoach along with the 3 Verses that connect to this year of 5775. Also, the Hebrew / Aramaic words from the Zohar below adds to your daily and weekly protection shield. We have added the additional one minute process to your daily connections as described above in the day section. Today we utilize the specific permutation of the Name of HaShem to take control of the day. The permutation is יהוה which is expressed as Yo Hey Wah Hey. Please repeat this frequently during every day of the month. The Hebrew word for "Creation of Six" is Beraisheet בראשית. It is good to say these letters with their root vowel while contemplating the many meanings and diversity built into this word. Our emails during Elul and Tishrai will help you to relate to these meanings. Say these sounds Bey Rey Ah Shi Yo Tah repeatedly as you contemplate the awesomeness of Creation. It is recommended to add these incense counts of the 11 components to your morning and afternoon connections. A third counting is also recommended each day. Look on the Yeshem website for this Ketoret - Incense Count and Protection. Here is a healing tool that most people even students of Kabbalah are not aware of. In the Torah in the book of Numbers chapter 12 Verse 13 there is the famous 11 letter phrase "El Na Refah Na La." This verse consists of 10 words which heal. The first letters of the words of this verse make the phrase "Wah May Ah Yo Lah Ah Nar Nah Lah." These 10 letters have the gematria of 418 which also is the gematria of the phrase "Elohim Shadai Chai" אלהים שדי חי. This phrase translates as "Enough Nature (Cause and Effect) - Live." All three words are Names of God. Use this phrase throughout the next 51 or more days or when you are not feeling well. This will heal you on the levels of physical, emotional, mental, and spiritual levels - wherever you are not well. Take a moment to announce the time of the New Moon which is done in every orthodox synagogue. This is the sharing or right column essence of the 3 steps of the New Moon Ritual. Make the statement of "The New Moon time is on Sunday November 23rd 2014 - Yom Echad at 12:15 PM and 4 Chalakim (parts of a minute - 4 parts of 18 parts of a minute). וַיֵּצֵא יַעֲקֹב מִבְּאֵר שָׁבַע וַיֵּלֶךְ חָרָנָה. ר' חִיָּיא פְּתַח וַאֲמַר, וְזָרַח הַשֶּׁמֶשׁ וּבָא הַשֶּׁמֶשׁ וְאֶל מְקוֹמוֹ שׁוֹאֵף זוֹרֵחַ הוּא שָׁם, הַאי קְרָא אוֹקְמוּהָ. אֲבָל וְזָרַח הַשֶּׁמֶשׁ, דָּא יַעֲקֹב, כַּד הֲוָה בִּבְאֵר שָׁבַע. וּבָא הַשֶּׁמֶשׁ, כַּד אֲזַל לְחָרָן, דִּכְתִיב וַיָּלֶן שָׁם כִּי בָא הַשֶּׁמֶשׁ. וְאֶל מְקוֹמוֹ שׁוֹאֵף זוֹרֵחַ, דִּכְתִיב וַיִּשְׁכַּב בַּמָּקוֹם הַהוּא. Vayetzei ya'akov mibbe'er shava vayelech charanah. R chiyai petach va'amar, vezarach hashemesh uva hashemesh ve'el mekomo sho'ef zoreach hu sham, ha kera okemuha. Aval vezarach hashemesh, da ya'akov, kad havah biv'er shava. Uva hashemesh, kad azal lecharan, dichtiv vayalen sham ki va hashemesh. Ve'el mekomo sho'ef zoreach, dichtiv vayishkav bammakom hahu. "And Jacob went out from Beer-Sheva, and went toward Charan" (Bereshit 28:10). Rabbi Chiya opened the discussion with the verse, "The sun also rises, and the sun goes down, and hastens to its place where it rises again" (Kohelet 1:5). This verse has been explained. The phrase, "The sun also rises," refers to Jacob, WHO IS ZEIR ANPIN, when he was in Beer-Sheva, WHICH IS BINAH. The phrase, "And the sun goes down," refers to Jacob when he went to Charan, THE NUKVA OF ZEIR ANPIN, as it is written, "And tarried there all night, for the sun was set" (Beresheet 28:11). The passage, "And hastens to its place where it rises again," is similar to the verse, "And lay down in that place to sleep" (Ibid. 11). THIS REFERS TO THE NUKVA, CALLED 'PLACE', WHERE THE SUN HASTENS TO SHINE. Jacob is a chariot for Zeir Anpin which is also called Tiferet. As such he is the channel between Binah and Malchut. This represents the flow of energy between the Mother and the Children. This is truly the meaning behind the power of Jacob and our need to connect to this essence.